Toronto, ON (Nov 13) – The Royal Agricultural Winter Fair continued its tradition of jam-packed evening shows with Friday’s Royal Horse Show. The class started with a range of driving classes, as usual, including the $1000 Welsh Pleasure Driving JR, AM or Lady Drive Presented by Kingfisher International Inc., where Amy E Riley and Quillane Apollo (owned by Elizabeth Francis) took top honours (pictured). The evening performance also featured some real horsepower, in the $2500 Percheron Six Horse Hitch Presented by North Waterloo Farmers & Glen Smith. 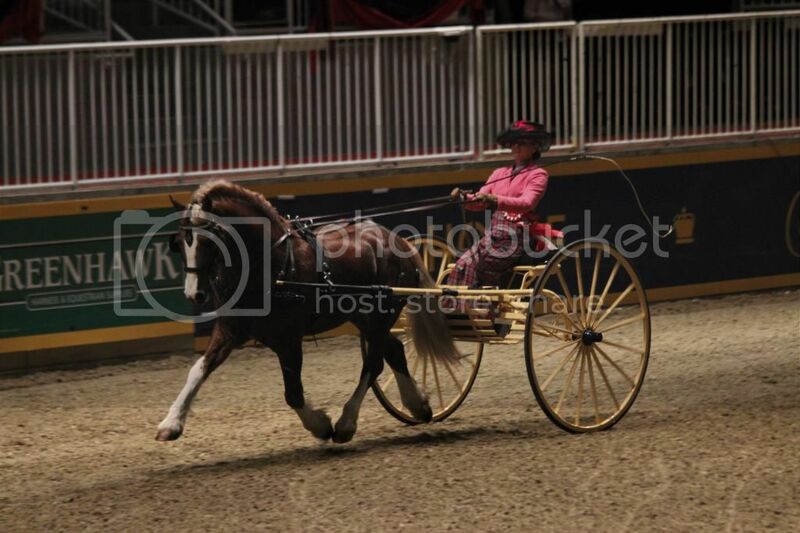 The Shining Stars Percheron’s hitch took top prize, with driver Bud Millar. Other harness classes included the $5000 Hackney Pony Canadian Championship Stake Presented by Bent Tree Farm and the $5000 Single Roadster Pony Canadian Championship Presented by Mr & Mrs Glenn Werry. Guy McLean followed with another stunning display of horsemanship as he dazzled crowds with this humour and skill alongside his four horses Spinabbey, Hope, Pride, and Sequel. The Whitaker award was also presented during the evening’s show, and was awarded to Ian Millar and Star Power. Then it was on to the evenings International Showjumping class – the $50,000 “Weston” Canadian Open. The course featured 12 obstacles total, with a time allowed of 75 sec, with 20 riders scheduled to ride the field. The final Wonder Bread oxer proved to be the most troublesome fence on the course, coming down for a variety of riders who appeared to be close to riding clear. Beezie Madden, aboard Coral Reef Via Volo, the second rider on course, distinguished herself early with a clear round and a time of 58.42. Competition was tight, but in the end Beezie held her top spot and took the win. 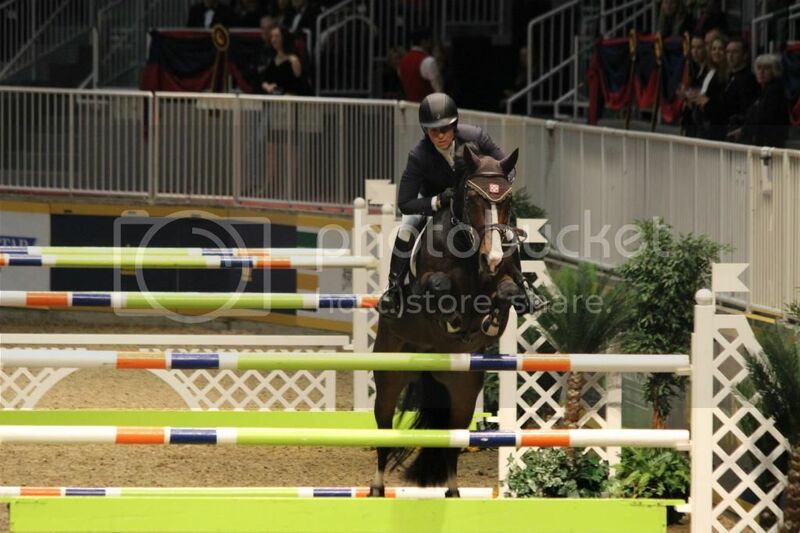 Belgian rider Francois Mathy, aboard Ornellaia came placed second with a clear round and time of 62.03. American rider Laura Kraut was second aboard Cedric, and Canada’s own Erynn Ballard placed fourth aboard Appy Cara. 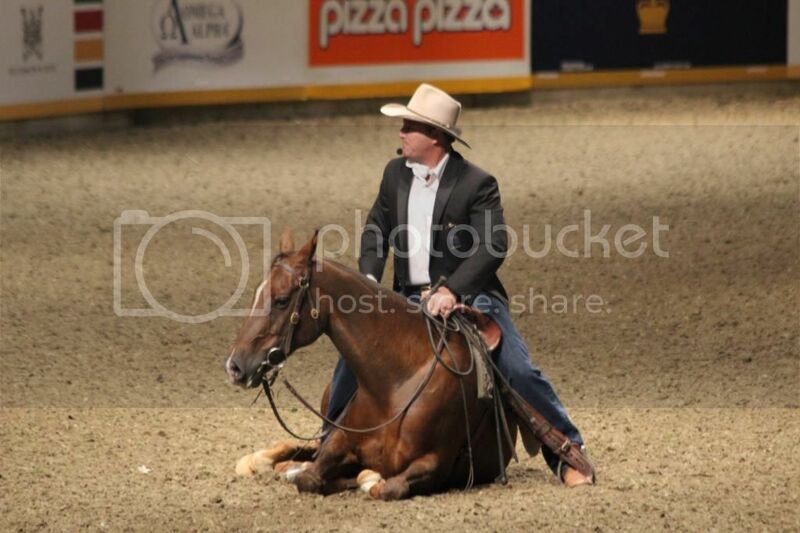 Captain Canada, Ian Millar (riding Baranus) placed 6th. American Rider Beezie Madden took top prize in Friday night’s $50,000 “Weston” Canadian Open on day 9 of the Royal Agricultural Winter Fair. We’ll be posting pictures from the evening’s competitions on our Facebook page, so stay tuned. All photos contained herein are © The Eloquent Equine and are not to be reproduced without express written permission.